One of the first games I remember playing on PC was Scorched Earth. It was quickly followed by Worms and Cannon Fodder. So began a lifelong obsession with turn based wargames. Reading the description of Battle Fleet 2 I was immediately taken by one sentance in particular; "..Battle Fleet 2 is the radically improved sequel to the original and has kept the 'Worms' / 'Scorched Earth' style angle+power mechanic..." There, in a very Maguirrean sense, they had me. The formula is quite simple. You assemble a fleet using available points to purchase ships of varying classes; from frigates to battleships and carriers. 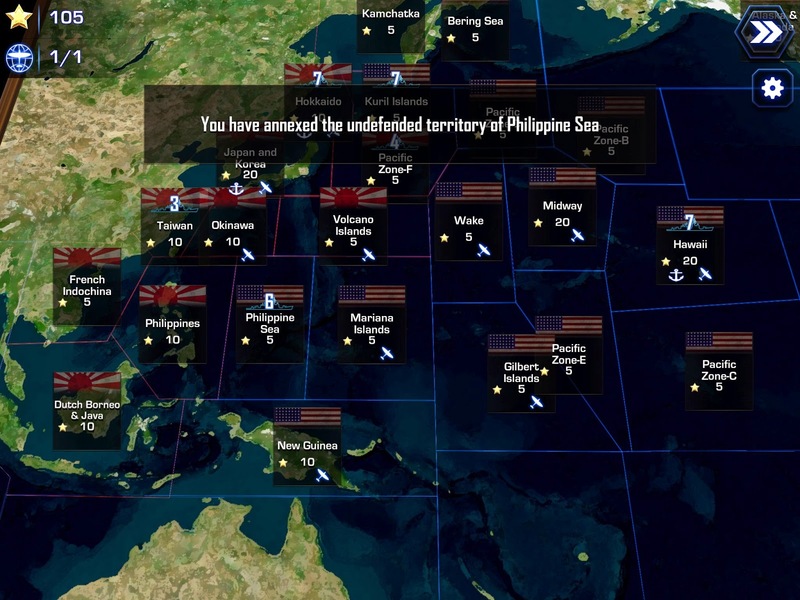 The game is set in the Pacific theater of WWII, which further drew me to the game. the graphics are smooth and as far as I can tell, seem to accurately model the ships they represent. The movement and firing mechanics are fairly simple, consisting of a heading marker and a slider indicating how much power is being put into the operation. In this way it mirrors that "Worms" feel very well. After a little experimentation, I found was able to gauge the amount of power I needed to put into a shot to place it where I wanted. I could nitpick at the movement, but I've seen games do much worse with far more assets. The matches in Battle Fleet 2 can be fairly long. Either in multiplayer or in the singleplayer campaign, matches typically last between thirty minutes to an hour. For folks considering picking up Battle Fleet 2 for their phones should be aware that you'll drain that battery pretty quickly. Stay plugged in, or at least close to an outlet. I settled on a PC copy of the game. With no option to stop and save the game in the middle of a battle, playing a game on your mobile phone or tablet carries a distinct chance of nullifying said mobility. On PC, it isn't really an issue; lengthy battle can be paused without fear of losing progress or connection (usually). 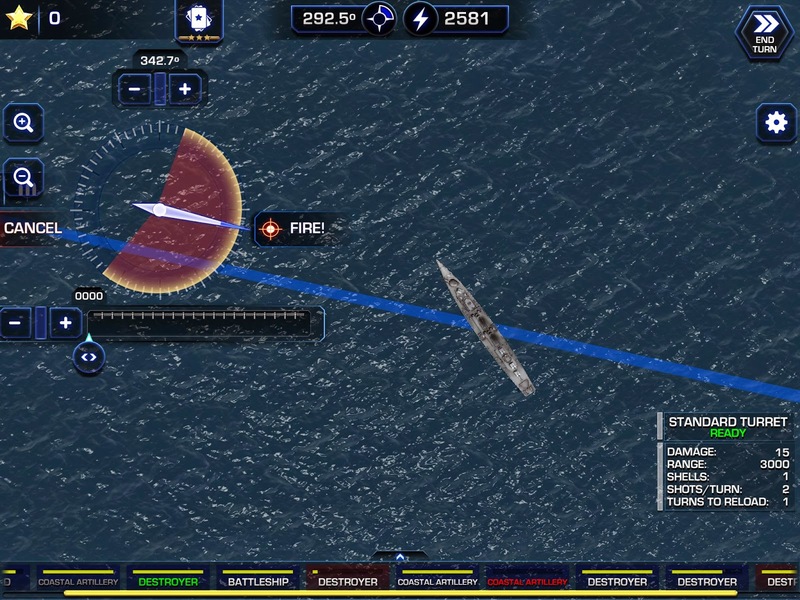 All in all, Battle Fleet 2 is a thoroughly enjoyable game for a Scorched Earth vet like me. It is a solid PC game that carries a lot of entertainment in a compact package. The controls are mostly intuitive and the mechanics are solid. Here is where I would insert a witty nautical pun. Sadly, I have none to give. 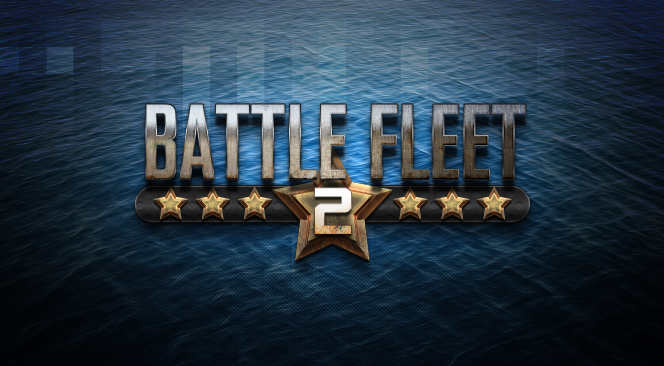 Battle Fleet 2 is a decent game with few flaws and most strategy fans should find plenty to enjoy in it.